The paper lays out several possible options for Government to take to mitigate volatility, improve agricultural productivity and enhance the environment. It also recommends Ministers look at other policies around planning, rural connectivity, tax, regulation and trade deals to ensure farming businesses can thrive. 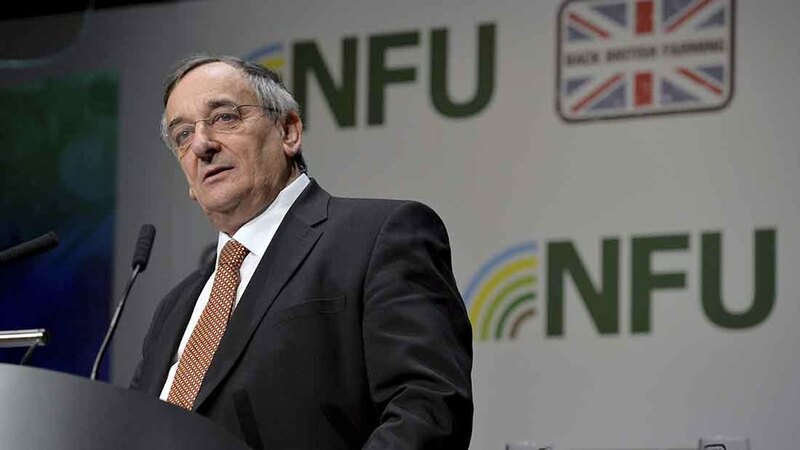 NFU president Meurig Raymond said: “There is rightly an exciting and energetic debate at the moment about how farm support should be delivered once we have left the EU. Here, we take a closer look at what the NFU is calling for. These allow farmers to put aside pre-tax profits in good years and draw them down in difficult times or when they need to make investments. These support farmers’ incomes when prices or revenue fall below a certain level. The level could be set by Government or be based on historical averages. Revenue insurance targets support at farmers who have been affected by a significant fall in market prices or yield. These schemes insure farm business production margins against a fall relative to average margins in previous years. NFU points out Canadian model complex, expensive and difficult to access. Futures markets allow farmers to pass on the risk and reward of volatile markets to investors who agree to buy specific quantities of a commodity at a certain price and time. The NFU points out futures exchanges for milling wheat and dairy are in the EU and the introduction of any trade barriers may limit farmers’ ability to use them. Establish a ceiling for ‘Amber Box’ measures at the World Trade Organisation. Some measures used to combat volatility are considered trade distorting and countries have agreed limits on how much they can spend on them. Productivity funding to ensure R&D findings disseminated and understood by farm businesses, with opportunities for farmers to get involved in research to keep it commercially relevant. Farmer-to-farmer learning to be funded to boost sharing of new approaches and best practice. Demonstration farms and farmer-led day visits to take centre stage. AHDB to support strong advisory service designed to improve competitiveness and support sustainable practices. Advice on navigating grant funding, accessing training and other services to be available. Grants to be central to future policy. Loans where repayment frequency and amounts are linked to changing business returns to be set up, and public bodies to offer guarantees for private investment. Investment in technology to be focused on improving resource efficiency, advancing genetic and breeding gains, saving labour, improving animal health and welfare, managing disease or adding value to raw products. A first tier available for all farm types and sizes. Options simple to comply with and deliver for the environment. Second tier for more ambitious environmental outcomes, with conditions to support complex management. Tailored to local needs, with bespoke support. Payments to cover the full cost of delivery as well as future losses. In-built flexibility for tenanted and common land arrangements, with cash going to the person undertaking the work.